Hotel Bamby, Rimini. Bamby Hotel Rimini. 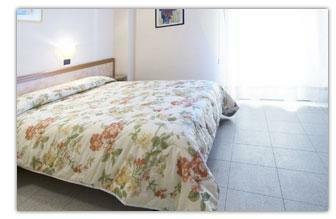 Welcome to Hotel Bamby, a delightful three star hotel in the heart of Marina Centro, in the center of Rimini. A short distance from the sea, close to the fabulous game park Fiabilandia, the Terme of Rimini, the extraordinary Park "Italia in Miniatura", the dolphins of Rimini and Riccione, and the parks Acquafan and Mirabilandia where families with children will spend nice days. Our guests will be satisfied with comfort and friendliness which have always been characterizing our art of welcome. The hotel provides an elevator, a lounge and a private parking lot.